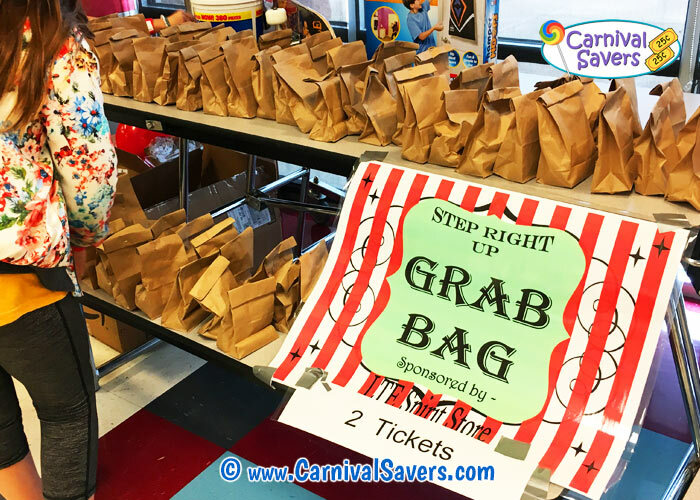 Grab Bag Fun Fair Booth Idea - Almost Free! "Top Prize" Example for the Grab Bag Booth! Ordinary Paper Bags or Colorful Bags can be used! *IMPORTANT! A Few (donated) Top Prizes (Larger toys or Gift Cards) or Larger Stuffed Animals! A Top Prize Board advertising what some lucky players could win and/or a place to display Top Prizes! Gold Coins or Slips of paper to designate top prize winners!! Before your carnival, as volunteers to help you fill your bags with a small assortment of small toys and prizes and/or pencils, erasers. For your top prizes, if they do not fit in the bags, be sure to put in a Gold Coins or a special slip of paper (colorful and big) - to make the top prize winners find that they won quickly!! IMPORTANT - There is a SECRET for making this game really exciting for kids! 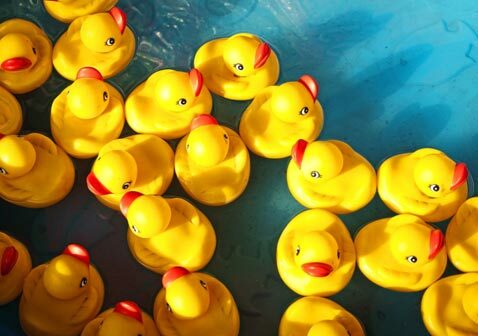 That secret is is to add a handful of cool, top prizes! The kids get really excited trying their chance at winning a really awesome top prize instead of just a bunch of small prizes in the bag. Top prize ideas can include items that are worth at least 3 - 5 dollars or more. 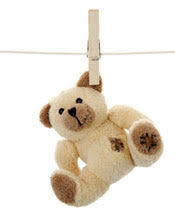 Be creative, you can use $5 gift cards to a local yogurt shop, a set of movie tickets, or other larger stuffed animals. Kids pay tickets to choose the bag they want... hoping that they get one of the most treasured Top Prize items!! This booth is a "must have" booth for any annual carnival or festivals! 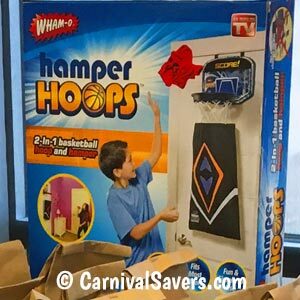 It gives you a great way to use up the "odds and ends" of small toys and prizes that were left over from the previous year. Make sure volunteers know that the value of the bags should be much less than the ticket price. So if you are charging the value of a $1 per grab bag, make sure the goodies inside are worth about 50 cents total! The carnival players are really hoping to win one of the top prizes - like in a lottery! NOTE: of course, we do not recommend saving candy for this booth as a year is too long to hold most candies to keep them fresh and tasting best! This carnival booth is virtually free if you use leftover small toys and prizes from your last event AND if you can get donations for the Top Prize items! 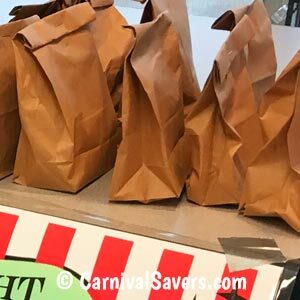 Remember if a top prize does not fit into the bag, simply display the prize and put a colorful slip of paper the bag to let the carnival player know they won! Oh, and don't forget to display your top prizes - that is the "secret sauce" to getting the kids really excited about this booth! Don't forget that $5 gift cards to local ice cream shops, favorite kids restaurants, and toy stores are a great item to add to the bags too and could be donated as well! Sometimes when planning your fundraising school carnival a small business donates something worth $10 you are not sure would be great for the silent auction - this is a great spot for a smaller donated item! CARNIVAL SUPPLIES For The GRAB BAG BOOTH!